Funnel cakes are the king of concession stands, carnivals, and street fairs the world over, so why not choose the king of carnival foods- with this Carnival King 5 lb. funnel cake mix, you are sure to have hungry carnival customers lined up for these tasty golden treats. A time-tested family favorite, this funnel cake mix is incredibly easy to use. Just a bit of water turns this mix into a light fluffy batter and before you know it you have a delicious, piping hot pastry ready to enjoy! Not having to mix up batter from scratch saves time and effort, meaning more funnel cakes can be produced much more quickly, leading to increased profits! Top your fluffy golden dessert with powdered sugar, cinnamon and sugar, fruit and whipped cream, or any other concoction for your own signature carnival creation. 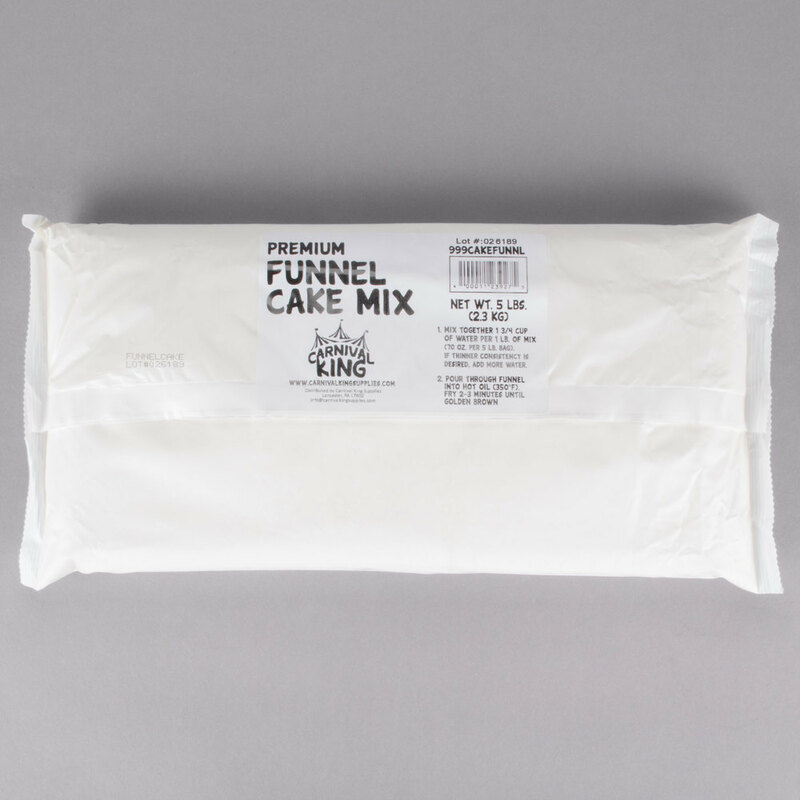 Carnival King funnel cake mix is sure to make your establishment the go-to place for funnel cakes even royalty would love.